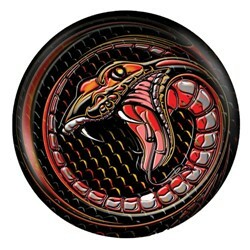 This Viz-A-Ball has an image of a snake that is sure to intimidate on the lanes. Use this ball to slide down the lanes and wipe out those pins! my 7 yr old loves this ball! My 7 yr old received this as a christmas gift from grandparents. He absolutely loves it. His friends use his ball now instead of their own! Only con was the drill holes were very eough inside and needed to be sanded. 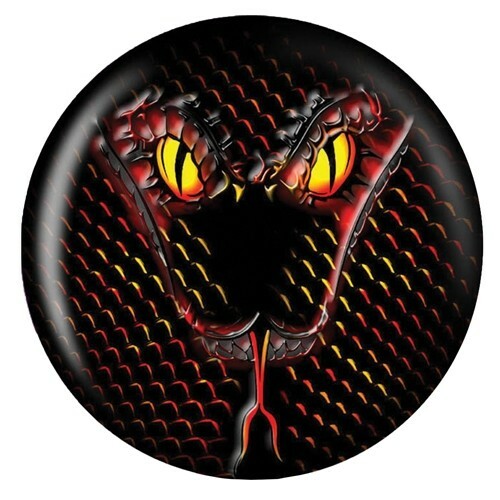 The Brunswick Snake Glow Viz-a-Ball will have the Bullet weight block. It will not come with holes drilled in it unless you purchase the drilling through bowling.com or you can take it to your local pro shop to have it drilled by a driller. Does this ball hook at all ? This is a plastic/spare ball that will only bowl straight. Due to the time it takes to produce the Brunswick Snake Glow Viz-a-Ball ball it will ship in immediately. We cannot ship this ball outside the United States.